Ilocos empanada, and other unique dishes from the regions, can be the base of your own food business. Filipinos are foodies, no doubt about it, and the national appreciation of such regional dishes as chicken inasal and Cebu lechon shows there's a market for culinary specialties outside of their native areas. 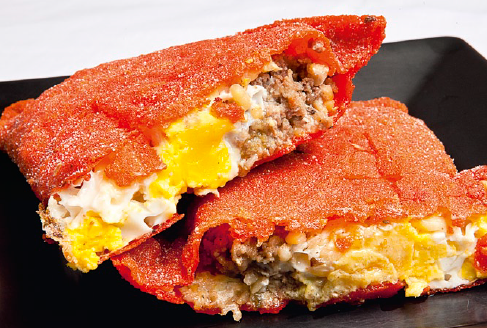 Add Ilocos empanada, the sealed taco-like snack with the bright orange crust that's a meal in itself, to that list. Many entrepreneurs have jumped on the chance to put up their own food business based on this delicacy, which is steadily being appreciated beyond the country's Ilocano population (estimated at about 9 million people). Made with rice flour, which when deep fried by itself is a crusty dish Ilocanos call pinais, and the maker's choice of fillings-usually grated green papayas, bean sprouts, egg, and Ilocos longanisa-Ilocos empanada is easy to prepare and cook. A cart or kiosk is enough space to sell this delicacy, and neighborhood empanada stalls have in fact sprouted across Metro Manila as of late. Maria Hazel Santos, 33, was one of these village vendors until she formally opened a business-Maria's Ilocos Empanada-and a store to match at Fairview, Quezon City on March 28, 2011. She began making and selling her version of the delicacy out of their family's garage, also in Fairview, on April 28, 2008, using just a big umbrella, a stove, and a table, and about P3,000 in starting capital. "I had to pull out our cars from the garage everyday just to sell," says Santos. She was acting on gut feel; her family, after all, was Ilocano too, as were many of their neighbors in their Fairview village. The business was indeed a leap of faith for Santos, who graduated from St. Paul University Manila with a Hotel and Restaurant Management degree and immediately worked four years abroad, splitting time with hotels in Atlanta, USA and Doha, Qatar. When she came back to the country in 2005, she just knew she wanted her own business. Helping matters in a way was that despite her credentials, hotels in Manila curiously weren't hiring Santos, forcing her to create her own job. She has that now with Maria's Ilocos Empanada, which sells empanadas starting at just P50 plus affordable rice meals paired with the Ilocano bagnet or longanisa. 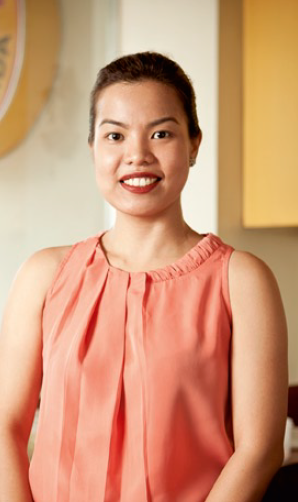 Having moved her business out of the garage, she used P300,000 of her own funds to set up the store at the lobby of their family-owned building in Fairview, hiring four full-time workers as well. With Maria's selling at least 100 empanadas a day (rice meals not included), Santos is easily out-earning her siblings, which includes two doctors and a lawyer. This despite taking what many, even her mother Elizabeth (an entrepreneur herself), thought was a humbler career that didn't match her education and training. "I still thank my brothers and sisters for reminding me to buy empanadas whenever I went to Ilocos, and my parents for bringing me up well," she says. I just wanted to work where I'd be comfortable and happy, without any pretensions." This story was originally published in the August 2012 issue of Entrepreneur magazine. Subscribe to the print or digital version here.